The space plan for before and after tell the story about this project. As you can see the tub deck in the original space took up half of the Master Bath. 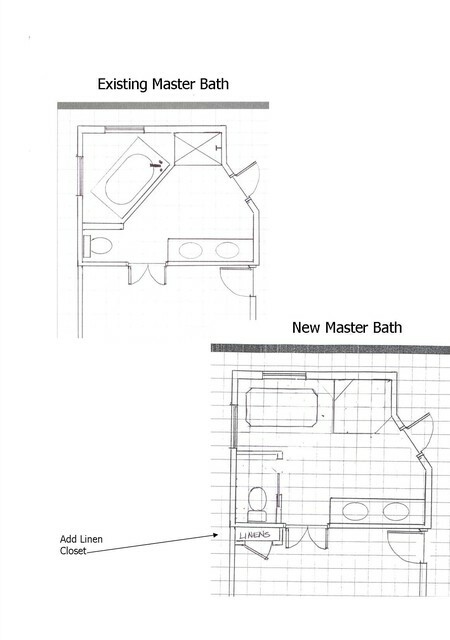 We added a Water Closet for privacy, a larger shower and a jetted tub.